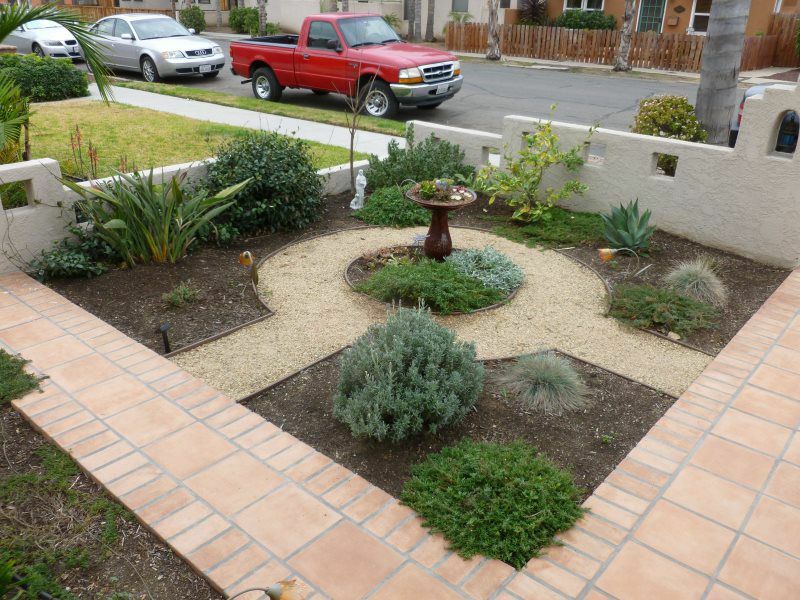 This water saving landscape has no grass. 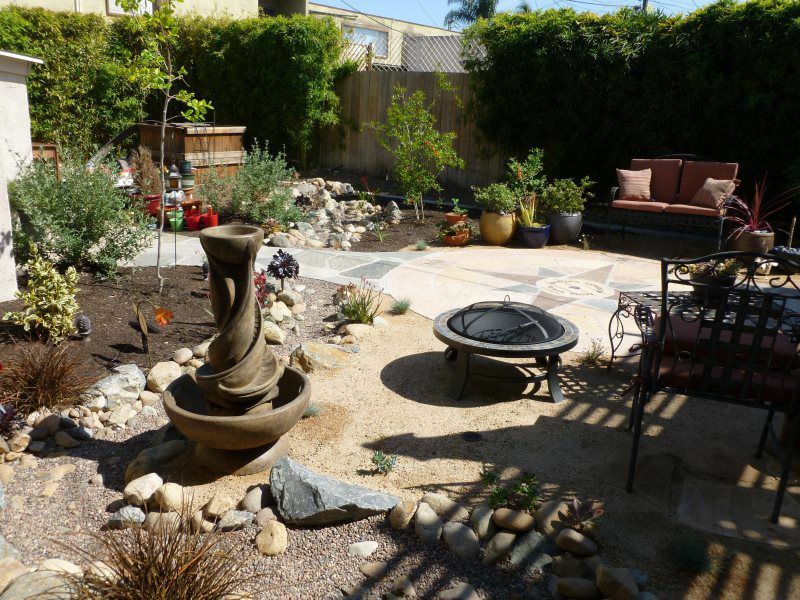 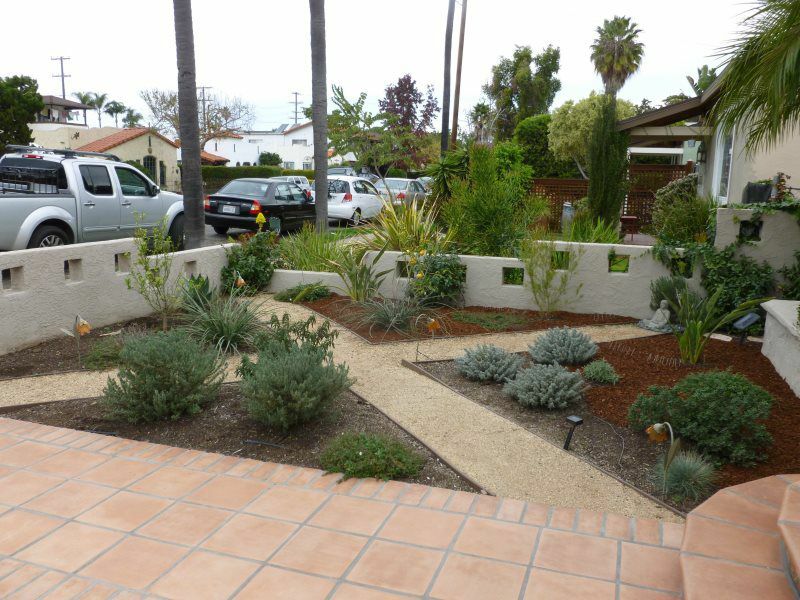 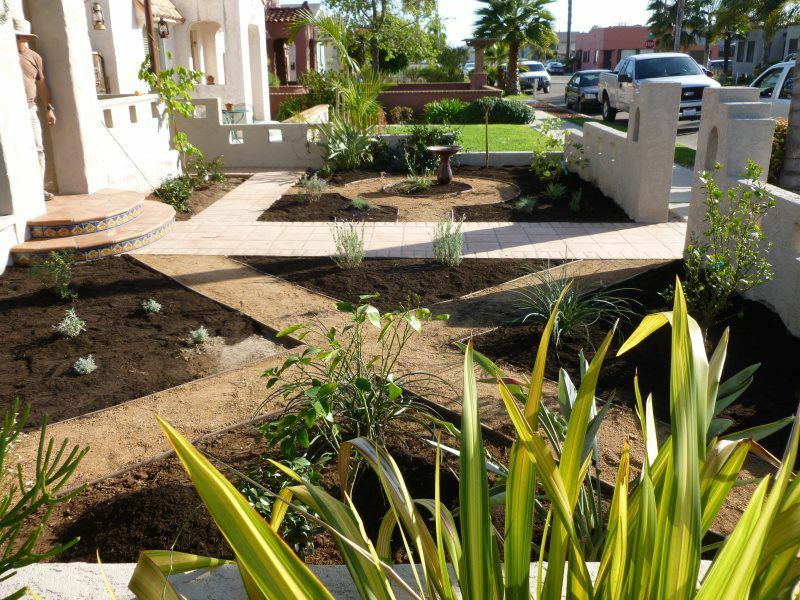 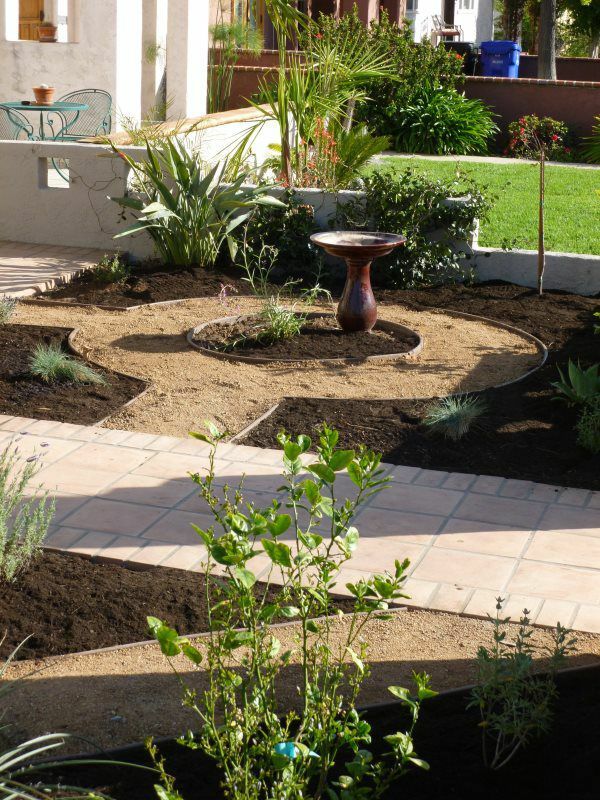 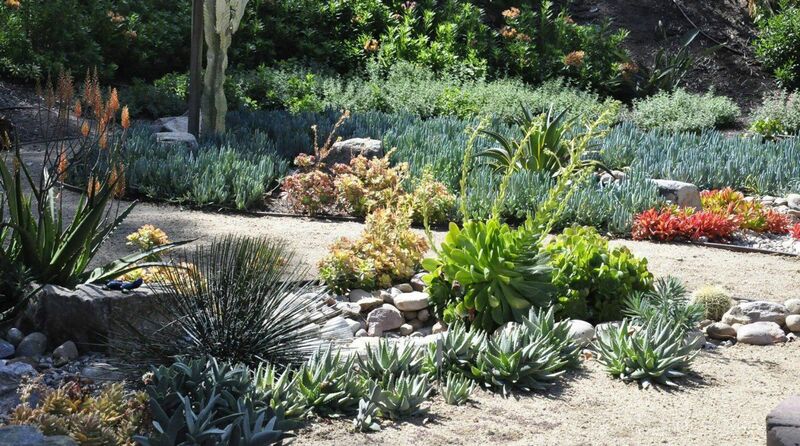 Instead, plants are planted in mulched areas with DG (decomposed granite) paths in a playful pattern. 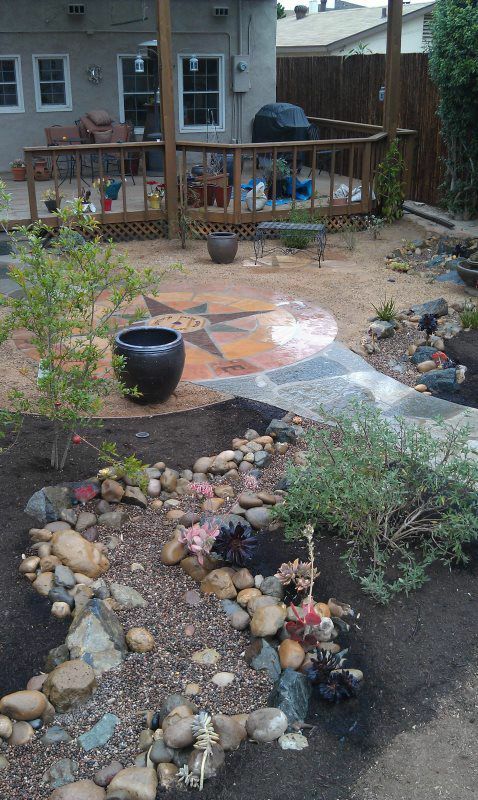 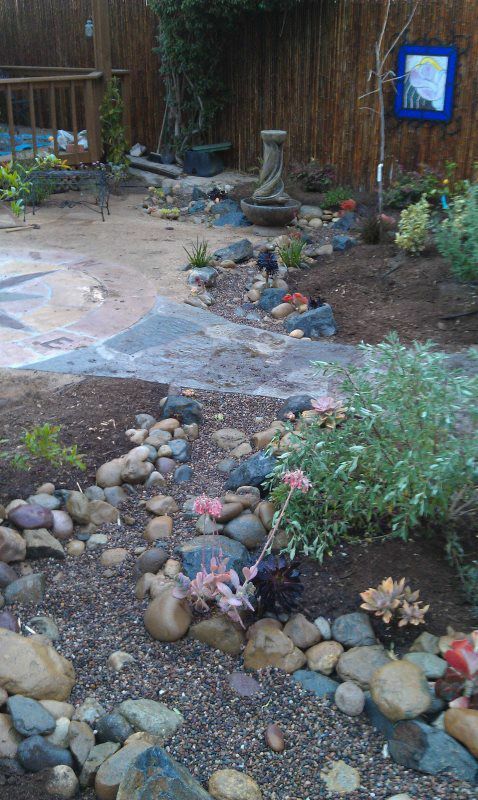 In the rear, a dry stream surrounds a DG patio with a stone compass medallion conceived by the client. 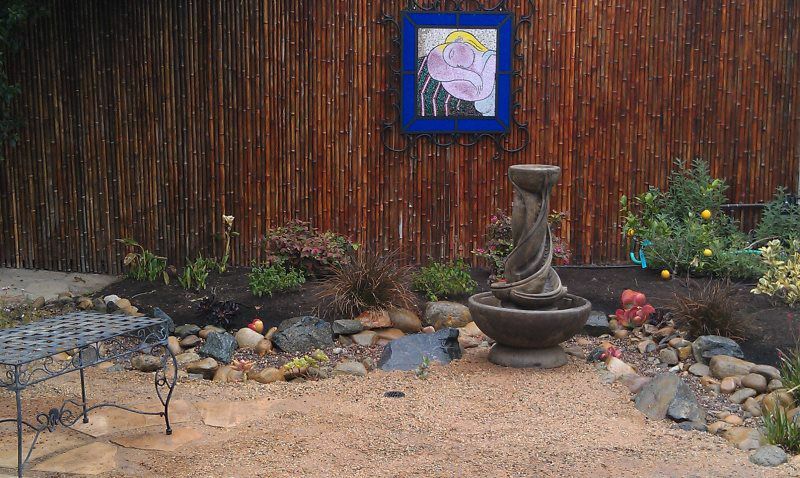 Chain link fences were concealed by a bamboo hedge and rolls of bamboo fencing dyed dark brown. 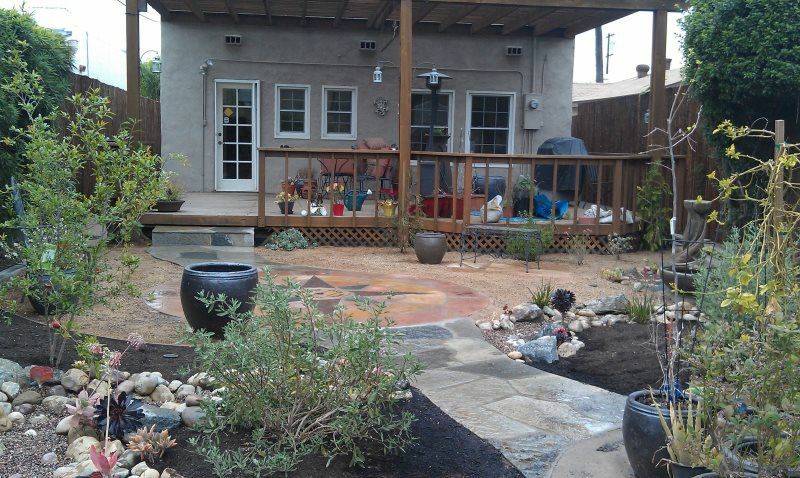 A huge covered deck provides an outdoor dining room and the patio a living room.